FDA Commissioner Scott Gottlieb reinforced his ‘cool new step-dad’ persona on Monday, unveiling a streamlined path for companies looking to market certain direct-to-consumer (DTC) genetic tests. 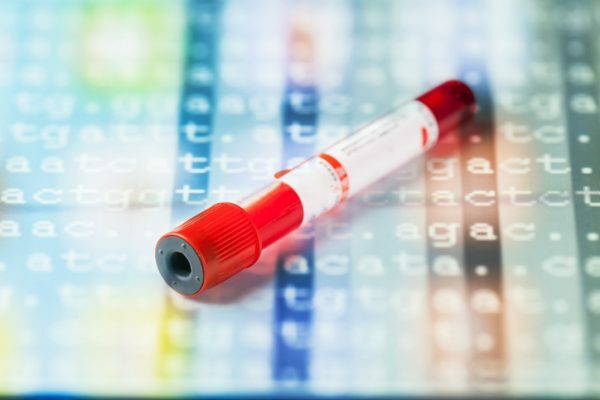 In a notice of intent, the agency outlined a somewhat hands-off approach that would grant market access to companies, rather than individual genetic tests. If approved, the manufacturer would undergo a one-time FDA review to establish accuracy, reliability, and relevance. Any subsequent tests could then be released without consulting the agency. It’s important to note that Gottlieb’s plan only covers a subset of genetic tests, known as genetic health risk (GHR) tests. These indicate whether a consumer or their offspring may be more at risk of developing a serious condition, such as cystic fibrosis or Alzheimer’s disease. It doesn’t extend to “diagnostic” genetic tests, such as those that look for BRCA1 and BRCA2 variants. Women who test positive for the mutations may take preventive action by surgically removing both breasts, ovaries, and fallopian tubes. Clearly, absolute accuracy is required from these tests, alongside extensive support and guidance from clinicians and counselors. At the other end of the spectrum, the new proposal won’t apply to ancestry or lifestyle tests that deliver “personal interest” information, such as a consumer’s ethnic background or which kind of wine they’re likely to prefer. These are not regulated to the same degree, for obvious reasons. Timothy Mackey, an associate professor at University of California San Diego School of Medicine and an expert in health policy and law, said the new regulations shouldn’t come as a surprise given the agency relaxed its stance on certain 23andMe genetic health risk (GHR) tests earlier this year. “This is essentially the same deal 23andMe got after its predicate device in April, so this simply confirms this approach for other GHR manufacturers and also details the special controls they must follow in order to access this pathway subject to certain exemptions,” Mackey said in an exchange on LinkedIn. As noted in the FDA statement, the new rules also follow a framework recently applied to the emerging field of digital health, dubbed the Software Pre-Cert Pilot Program. For those companies, the underlying software is reviewed. If a green light is given, the company can then market different products without further FDA involvement. Mackey acknowledged the overlaps, but stressed the potential risks were much greater in the GHR test field. “It does reduce regulatory burden, but I think it needs to be monitored closely as digital apps and DTC GHRs present different benefits vs. risk and should not be conflated,” Mackey said, adding that the digital program was also still in the pilot phase. By targeting GHR tests exclusively, FDA hopes to create an environment that can fuel innovation and growth in the sector, without sacrificing patient safety and protection. Whether the agency can achieve that balance remains to be seen. Several large and unrelated issues loom. For one, there are far too few genetic counselors in the United States to meet current needs. Deregulating direct-to-consumer tests could fuel even more demand as individuals receive information without the support of a physician. Many experts believe professional guidance is a must. Just last month, the American College of Obstetricians and Gynecologists’ (ACOG) Committee on Genetics voiced its concerns about DTC genetic testing through an op-ed in the journal Obstetrics & Gynecology. Specialists in this field are often on the frontline for carrier testing when prospective parents learn whether they carry genetic variants that could predispose their offspring to inherited diseases. The committee believes this process requires expert oversight. “Direct-to-consumer genetic testing raises unique concerns and considerations, including limited knowledge among patients and healthcare providers of available genetic tests, difficulty in interpretation of genetic test results, lack of oversight of companies that offer genetic testing, and issues of privacy and confidentiality,” the committee wrote. The real elephant in the room, however, may be the issue of genetic privacy and data security. Smart consumers can and do learn what the results of a genetic test mean and how to interpret a relative risk. But how many read the fine print and understand what happens to their genetic information when they consent to the tests?